St. Vincent gave Seattle a superbly beautiful sonic seizure at The Moore Theatre last Wednesday. 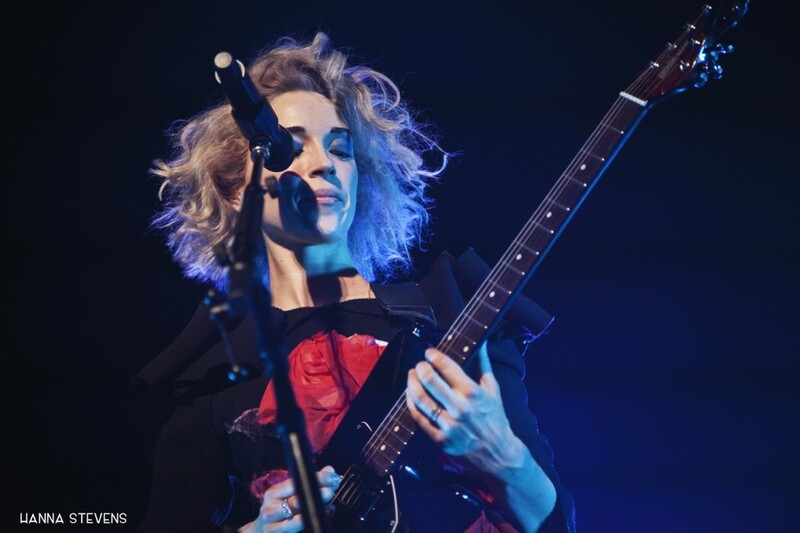 Touring behind her February 2014 self-titled release, St. Vincent has refined and defined herself as a guitarist, singer performer, and ultimately, artist, with a show that is constantly self-referential between performance, visuals, sound, and lyrical content. Annie Clark, a former member of The Polyphonic Spree and Sufjan Stevens’ touring band, most recently collaborated with David Byrne for the 2012 record “Love This Giant.” Perhaps these endeavors have cultivated an unapologetically fierce femininity that now saturates her art, from sound to sight. The coy marionette, clad in black, utilized just enough intentional choreography to enhance the music. Stuttered, robotic movements were reminiscent of her video for “Who” with Byrne, although perhaps more controlled. Alternating angular strobe lights gave Clark’s theatrical shuffling and angular movements a stop-motion effect, and ultimately contributed to the performance art element of the show. If artistic modernity is based upon reconstructing the preexistent through the kaleidoscope of self, St. Vincent constructed the show masterfully from the start. A recording requesting the audience to enjoy the experience without capturing it digitally was delivered by the Macintosh voice used in Radiohead’s song Fitter Happier. Then, St. Vincent was off to a running start with Rattlesnake, the first track off the new record, followed by Digital Witness (https://www.youtube.com/watch?v=mVAxUMuhz98), Cruel, and Birth in Reverse, the first single, during which she shuffled forward and backward in opposition to her guitarist/keyboardist. She then addressed the audience. “Good evening ladies and gentlemen. And good evening others.” Clark’s seemingly confessional monologues throughout the set satirically played off her reputation of personal nondisclosure. “Remember when you started a fire with a magnifying glass? It took 9 hours to light through those Washington clouds, but when that fire started to burn, you felt like a magician,” she said. 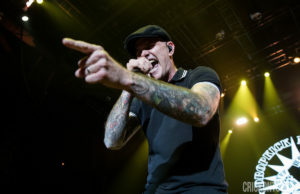 Clark told stories of perceived shared experiences with the audience that were just specific enough to lack complete relatability. And then she didn’t just traipse down the platform tiers… she slumped, twisted, rolled, and pulled herself down each level practically in slow motion, keeping the audience’s attention riveted straight into the next song. While the Moore Theatre doesn’t exactly lend itself to crowd surfing due to the chairs, St. Vincent could not be stopped. She flailed, writhed, and surfed her body around the stage solely by her own might. 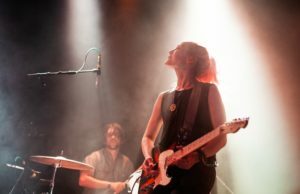 Noveller, Brooklyn guitarist Sarah Lipstate’s solo project, opened the show, marking the halfway point in the 27-city tour with St. Vincent. Lipstate is touring behind “No Dreams,” her sixth full-length, released last fall. The instrumental artist comes close to matching the intensity of Austin band Explosions in the Sky, minus percussion. 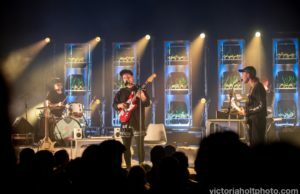 Her elegant strength onstage mirrored the thickly pristine, ambient wash of her guitar loops, driven by frenzied distortion and dramatic delay. She singularly commanded the entire stage like an interpretive black magic dancer summoning forth mammoth waves of thick, warm sound. Sustained orchestral drones left few holes in the sonic space from rumbling lows to piercing highs. At times, Noveller sounded comparable to watching a film with audio and visual slightly out of sync: one heard the clear, acoustic pluck of a string, saw her hand slide down the fretboard, or followed the slice of a violin bow on electric guitar, and only later heard the sound explode in aggravated electricity. Hanna Stevens is a musician and photographer from Indianola, WA who now lives, works, and plays in Seattle. Music and photography create the framework for Hanna’s life. Her intention is to create community through music and art, and she is thankful for the chance to do so for SMI.